Are you aged 11 or over and wanting to get back into football or even wanting to give it a go for the first time? Well come and take part in one of the Town Foundation’s Premier League Girls Programme sessions. The Premier League Girls Programme aims to provide opportunities for females aged 11 and over to take part in football within the local community. 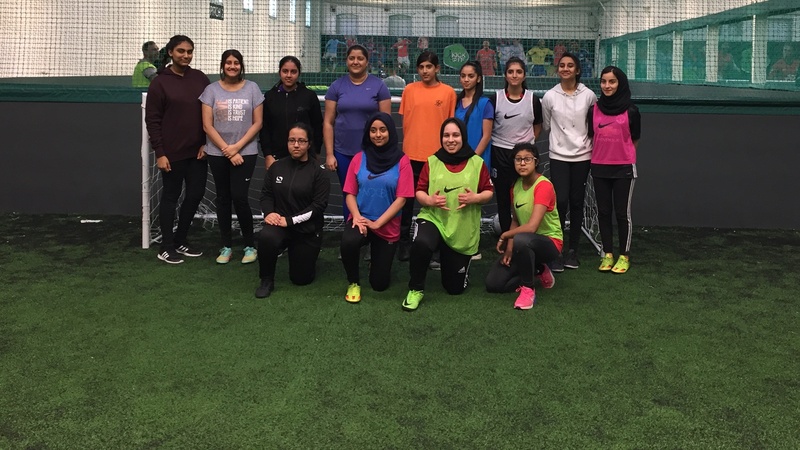 The Town Foundation first ran the sessions in February 2018 in partnership with Ready Steady Active, and females of all ability are encouraged to come along on Sunday mornings to Kick Off, in Dewsbury, for opportunities to play matches and learn new skills. The sessions take place between 10am and 11am, with approximately 20 women and girls regularly in attendance. A total of 88 professional clubs currently run the programme, with almost 23,000 women and girls taking part during the 2016/17 season. If you would like to know more about the sessions or get involved please email poppy.brennan@htafcfoundation.com.